In Part 10 we met Sagittarius, The Archer, who’s arrow is aimed directly at the heart of the scorpion, a picture of our great enemy, satan. The three minor constellations, or decans, associated with this major star sign continue the story of this mighty Archer.” They chronicle his triumph over our great enemy, his exhausting of God’s judgment, and His defeat of the great dragon. Let me set first your mind at ease, Church. Though pagan cultures were confused and deceived and gave these star patterns strange names, there is no doubt that God, Who made the stars and set them in motion, is telling the story of His Son. As I’ve said before, for 2500 years, there was no written word of God. The gospel story was told by reading the story in the night sky. This is not astrology. The devil invented that perverse system to keep man from learning about Jesus. Follow the link near the end of this article to find out how and why it all came about if you missed that part. 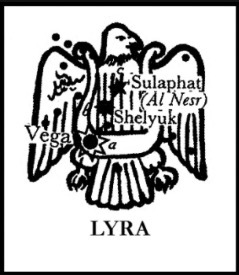 In Lyra we see a picture of a triumphant eagle rising with a harp. Kind of a strange combination, right? What does it mean? The harp, or lyre, is one of the oldest musical instruments. Genesis 4:21 mentions it as being in use during the lifetime of Adam. It depicts the praise of which the greater Sagittarius, Jesus, is so deserving. But why an eagle with a harp? Eagles, like hawks, are a natural enemy of the serpent. In it’s rising heavenward with the lyre, it symbolizes praise, singing, and rejoicing rising up to God for His great triumph over our enemy! Lyra, pictured with an eagle ascending, also speaks of Jesus as He rose from death. He ascended from the depths of the earth and thence to the highest heaven, having soundly defeated the devil with his own weapon: Death. The ancient name of the brightest star in this constellation has been passed down to us from the Jewish people. Their name for it is, “Vega,” which means, “He shall be exalted,” pictured above. It directs our attention to the praise from the harp as indicated in the opening scripture from Revelation 5. Vega is a pure white star. In fact, it is one of the brightest in the heavens. The Hebrew root word, from which Vega is derived, “Gaah,” is used by Moses in the very first song recorded in scripture. Our English word for “Victory,” comes from this very same root word! Isn’t that how birds fish? They dive into the water, grab and kill their prey, then rise upward into the heavens again in triumph. Arabian astronomers had a name for this star. They called it, “Al Nesr, The Eagle.” As expected, the most ancient planisphere, Denderah in Egypt, also describes this star grouping. They saw it as a triumphant hawk or eagle ruling over the serpent; “Fent-kar,” in their language which means, “The Serpent Ruled.” Notice the past tense. These are all reasons why we offer praise and worship to our God, Who reigns forever and ever, AMEN! That praise is perfectly expressed in Revelation 19:1-2! 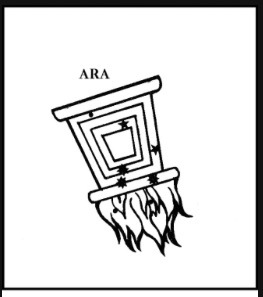 Ara: The Upside Down Altar. Aren’t we glad, as believers, that we are NOT going to end up there!!! The Altar represents God’s demands on mankind. The Priests of the Old Covenant offered sacrifices continually on an altar in order to cover their sins, because man cannot possibly attain to His standards. We routinely fail. Knowing that, and because He’s a good Father, God made provision for us so that sins could at least be covered…..until the day Jesus would come and wash them away with the blood of His perfect sacrifice!!! These offerings were like “Promissory notes” for the saints of old that Jesus cashed for them when He met with them in Paradise after He died. This altar depicts the fires of judgment that should have rained down on us but that Jesus took it in our stead! HALLELUJAH! The word, “Ara,” the name of the upside down altar actually means, “Finished,” in Greek! Remember the devil’s perversion? Because of it, the Greeks, and many other cultures, saw a confused story. They personified this constellation and invented a “goddess” of revenge and destruction named “Adresta.” How sad. Are reminds us that Jesus came and finished the work so we would not have to suffer judgment if we accepted Him as our substitute payment for God’s demands! In Part 3, we discussed how God arranged for a monument to be built at the border of Egypt so that ancient cultures would know how to read the story. He did it because this is a circular narrative. You have to know where it begins and ends in order to read it correctly. That’s why devil was able to confused the narrative. His “version” begins with Aries, the Ram. Well Church, it doesn’t start there: It begins with Virgo, the Virgin and Child, which is Jesus, and ends with Leo, the Lion, which is also JESUS!!! Start at the wrong place and you get all kinds of nonsense. That’s where much of mythology comes from: A confused version of the story in the stars. Now, because of Jesus, there is no need for man to make any more sacrifices for sin. 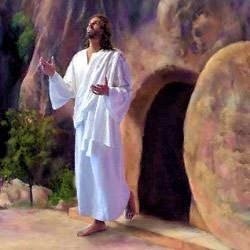 Jesus is the final One! He finished the work of redemption. There is no other Name under heaven by which we must be saved. No other sacrifice will do. No other is acceptable. The Jewish people used two terms that are rooted in the same word, “Ara:” Aram, which is the Hebrew name for “Syria,” and “Mara,” which means “bitter” or “to utter destruction and a curse.” Remember the bitter waters of Mara? As for Syria, they were, and in fact still are, Israel’s mortal enemy. What you see here clearly represents the curse brought upon all men by Adam’s rejection of God. Sadly for us, no ancient names of the stars in this constellation have been passed down to us. However, the Egyptian Denderah has a different and very illuminating take! The Egyptians saw this star grouping as a human figure holding in his hand an instrument called a “Flail.” This is the very same one used on our Jesus at the scourging post. A cat of nine tails, or scourge, was used to inflict maximum damage with minimum effort. It literally ripped our Lord to shreds as he took that inhuman beating in our place. “Therefore, brethren, having boldness to enter the Holiest by the blood of Jesus, by a new and living way which He consecrated for us, through the veil, that is, His flesh,” The entire Tabernacle of Moses is a picture of Jesus. The veil represents His flesh. It was torn just as His flesh was torn at the scourging post. The Egyptians called Ara by this name: Bau, which means “He Who Cometh.” Because of what Jesus did, the curse, instead of being placed on us, is now placed on our enemy who shall be cast into the lake of fire! He and his followers, both angelic and, sadly, some human ones, will be the ones eternally under the scourge of the flail. That is why it is so critical we understand these things and put our trust in Jesus, the perfect sacrifice that was offered in our place. God doesn’t want man to suffer in hell. It was designed for the devil and his angels, not for man. But, He is a great Respector of your free will. If you want to slap His hand away that is freely offering you His priceless gift, HE WON’T STOP YOU. That’s free will right there. 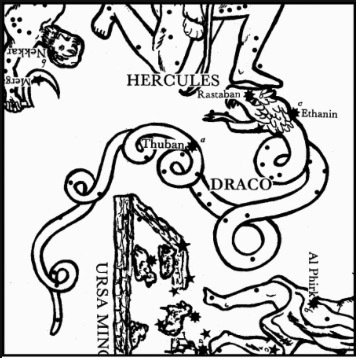 The final decan of this major constellation is none other than “Draco: The Dragon.” Pictured above, it appears as a gigantic snake, writhing and winding about among the stars. His head is in the process of being crushed under the foot of Hercules, a decan belonging to Scorpio, the previous major constellation. In this story, there is a lot of this crossing over of the Strong Man either crushing, or defeating in some way, the great dragon or serpent, representing the devil. That’s our Jesus Who fought our great enemy wherever he was found and won it all! 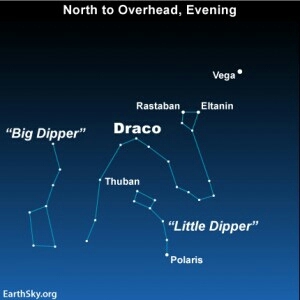 The Greeks called this star grouping, “Drakon,” meaning “the Dragon.” But it also means, “The Trodden Down.” Remember the curse in Genesis 3? God said that the “seed of the woman would crush (tread down) the serpent’s head.” Now, no such creature as a dragon exists in nature, of course. So, what is a dragon? It’s just an overgrown snake. There are several places in scripture where this non-existent creature is mentioned. Sounds like final judgment for the devil, doesn’t it? Notice that this reptile is “In the sea.” The Sea in scripture is a picture of the peoples of the world. The devil and his henchmen are everywhere and in everything. 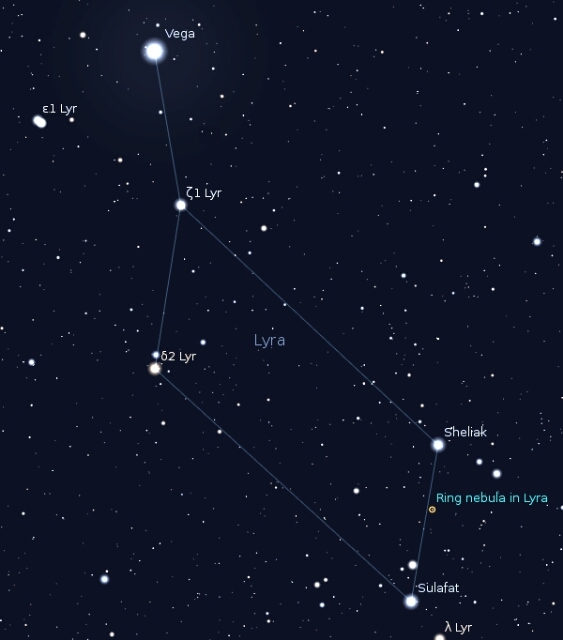 The brightest star in this constellation is called, “Thuban,” in Hebrew, which means, “The Subtle.” It is located in the second coil from the tip of the tail. Believe it or not, 4,000+ years ago, THIS WAS THE POLE STAR! 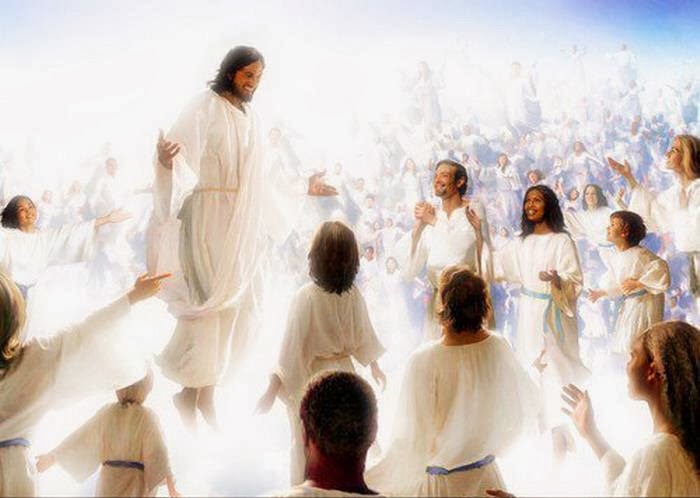 It indicated that satan was–PAST TENSE–the “prince of this world.” (John14:30). The Arabs called Thuban, “Al Dib: The Reptile” Another Arabian name for it is “Al Waid,” meaning “Him Who is About to be Destroyed.” Wow! Pretty descriptive if you ask me! HALLELUJAH! Jesus, The Great Archer and our Champion, took all the punishment we deserved, destroyed the devil with his own weapon, death, crushed his head, exhausted all God’s judgment for our sin, and ascended on high, triumphant over all! He is deserving of highest praise!!! Thank you, Abba, for sending Jesus to defeat our deadly enemy and restoring to the Church this beautiful story in the stars told through the Lyre, the Altar, and the Dragon. Please follow the link below to part 12. 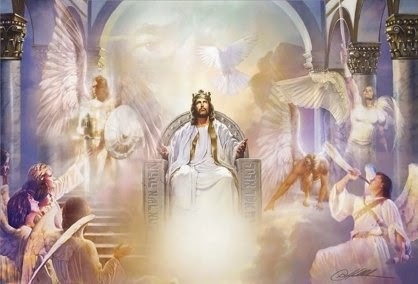 We’ll be talking about the jeweled crown in the sky that rightfullly belongs to the King of kings and Lord of lord, Jesus! I was searching for Libra the Altar and found this blog. Another fascinating presentation you have done, Susan. “Ara,” the name of the upside down altar actually means, “Finished,” in Greek! I didn’t really know of this smaller upside down altar. Thanks and continued blessings 😉 I included excerpts and a link to your blog: https://tammyjdub.blogspot.com/2018/12/libra-altar-levi-priesthood.html Maranatha! Wow! So glad to be of help!